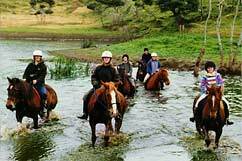 Tasman Horse Rides has both a full-size outdoor arena and a custom-built indoor riding facility. The training barn was designed as a multi-purpose amenity. It measures 30m x 15m and rises 7m at the peak. It has a sand base, and is well lit with both natural and artificial light. It is used in wet weather for riding, team activities, and pony games and can also be use for animal training, television and movie filming. 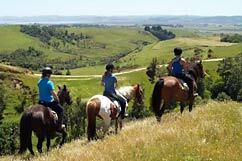 We are a complete horse riding venue with accommodation for pony club, western riding, endurance club or individual horse owners who will enjoy use of our indoor riding facility and outdoor arena, round pen, yards and superb riding over acres of farmland, forest and beach. 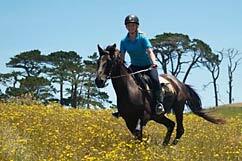 Daily riding events or riding workshops. End of year events or functions. Stay in our comfortable, practical barn style accommodation while your horse stays close by. Your club or group can bring your own food to self cater, making this a very affordable option. 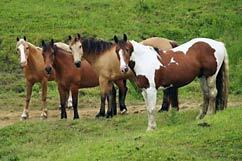 Overnight grazing for your horses in well fenced, good paddocks can be provided close by your accommodation.